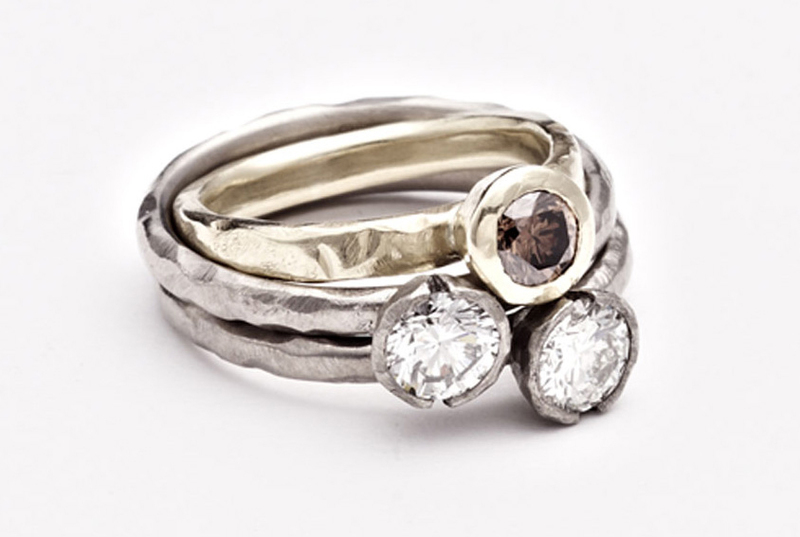 The Client had their own diamonds, but wanted a variation on the traditional engagement ring. They really liked the idea of something raw and ancient looking. The rings were hand made and then hammered and matted to give that raw finish.